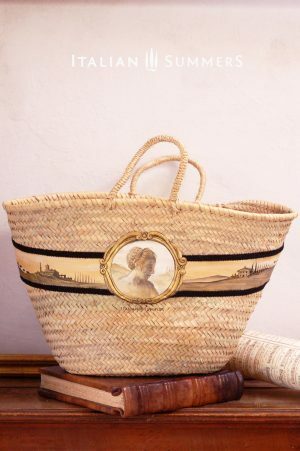 Cute, mini straw bag destined to be one of the Italian musthaves! ‘Simply charming, darling!’… Imagine Marcello whispering that in your ear! Personalization option! Please contact us by email for questions and possibilities. 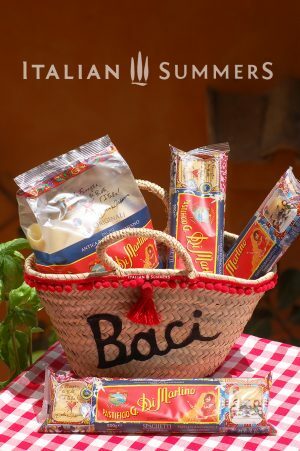 As you surely know, the island of Capri is more than just a location: it is an icon of Italian lifestyle. 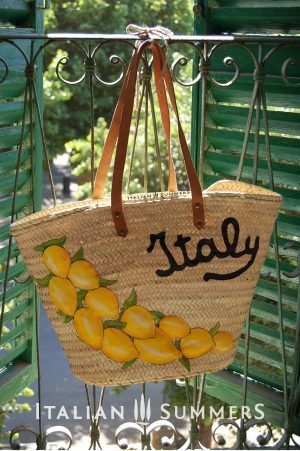 The ‘Capri look’ has become embedded in collective imagination as glamorous, sunny, mediterranean. In this tradition, the Little Miss Capri bag is sure to evoke lovely aperitivo moments as the sea rustles nearby! 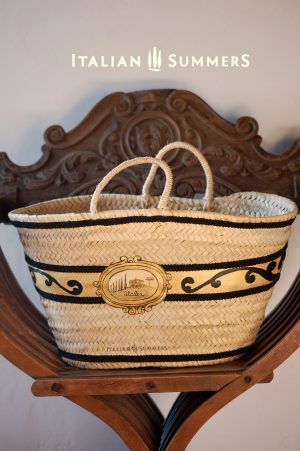 The timeless charm of handwoven straw accessories and artifacts strikes deep chords in many of us. Possessing something beautiful, that human hands have crafted from natural raw plant-fibres, is not only refreshing in our consumer mass-machine-production era, it is endearingly enriching. 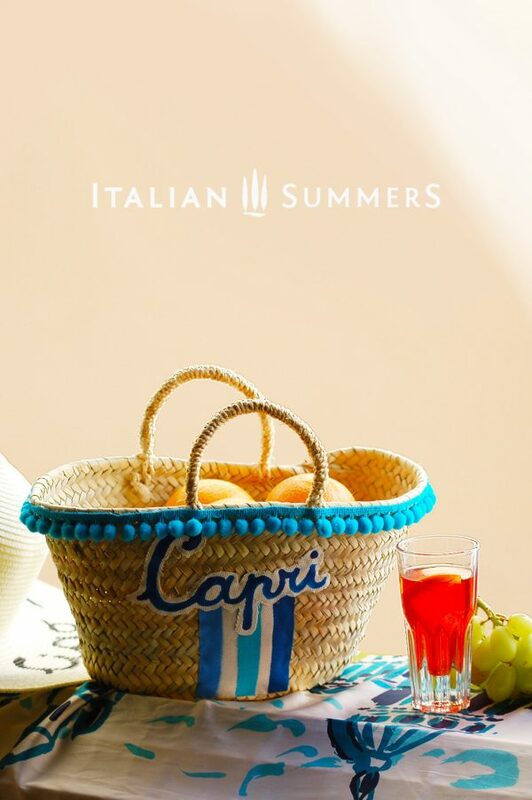 The mini straw bag LITTLE MISS CAPRI by Italian Summers is a true work of beauty. To know that such an item is a one-of-a-kind, unique and unrepeatable, is perhaps a true luxury beyond the fact that its relative price may be considered irrelevant, when compared to other purchaseables (which exist in the millions as they are stamped out industrially! ).